I have published first part of Android Linphone SDK integration already. In this tutorial, I am going to share source code modification tips and overview of Linphone project code. Before reading this post, check Android Linphone SDK Tutorial - Part 1. Linphone project's packages and source code can be changed at any time but I am going to share details of Linphone project which I have currently. Note:- Some PPTs are available on my slideshare account related to android linphone project. 1. org.linphone : This package has mostly all activities, fragments and important manager classes. Easily understandable by class name which class what will do. 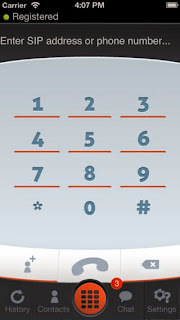 2. org.linphone.compatibility : This package has compatibility classes for each android API level. To use notifications and gestures in different android versions. 3. org.linphone.gcm : This package has GCM service classes. Linphone uses SIP server for Push notifications to show chat, video call, etc. notification. 4. org.linphone.setup : This package has account setup classes. To register, login or manage user account. 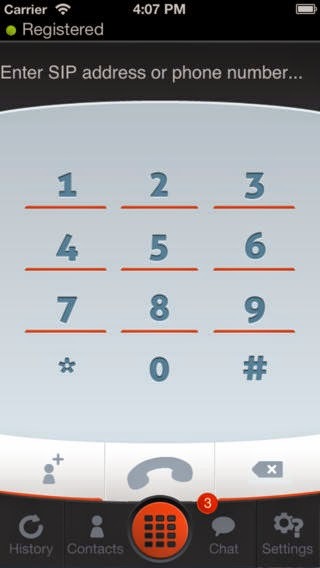 5. org.linphone.ui : This package has user interface's widget classes. To manage action on widgets like call button, erase button, number button, on scrolling, on sliding drawer, etc. 1. LinphoneCore : The LinphoneCore is the root for all liblinphone operations. You need only one per application. listener(LinphoneCoreListener) - listener to receive notifications from the core. context - an application context, on android this MUST be the android.content.Context object used by the application. about listener class: create a class and implement LinphoneCoreListener and make an object "listener" and pass it. 2. How to set/get register user details? LinphonePreferences : This class uses setter and getter method for user info and every method is easily understandable. now using default account index, we can set or get user details easily. 3. How to initiate/terminate/accept call on a sip address? Address/to can be user_name or user_name@sip.linphone.org beacuse interpretUrl(String to) method converts string to LinphonAddress(SIP Address). InterpretUrl is a method of LinphoneCore class. where lc is LinphoneCore object. lc.acceptCall(aCall) // lc is LinphoneCore object & aCall is LinphoneCall object. 4. How to send/recieve chat message? has) and textReceived method will call when you got message from someone. //write code here to display message on gui. 5. How to add video call support in running audio call? For more download excel sheet of Linphone notes(Check all tabs of excel sheet) and check official document. After set-up this project, you can call and chat. This is embedded in project already. Hi, I am not aware of new changes in Linphone. May be they changed packages. That is available in linphone's submodules folder. Is there any method for message seen in Linphone? How to create LinphoneConferenceParams in android? I'm not getting the idea as you described. Stuck in Linphone Core. Help me. ! Error: cannot resolve symbol tools. Hi, Can you please tell me where you have put native libraries under folder(armeabi,armeabi-v7a,x86) inside your android application or in a linphone.jar ? By the way..I want to add some other "media description" (not aduio/video) to the message body. Are there any APIs that i can use? someone listening? help me guys i need to integrate linphone in project and i don't have linux, am using windows + Android studio. Don't. I tried building on windows and gave up. Not worth the trouble. Just get a Linux VM up, setup the environment by following the steps on the linphone android github, then build the project once successfully. It'll take about 30 minutes to build all the native modules. Once you have the native modules built once you can continue your project on the windows environment. Hi guys, could you please tell how to do echo cancecancel in linphone?